Having a powerful computer does not mean having a large computer. Big power can come in small packages. While giant towers have long been the darlings of many gamers and technology enthusiasts, smaller boxes are starting to gain traction too. With Micro ATX, Mini ITX, and even smaller form factors, consumers can achieve performance while saving precious desk space. When it comes to diminutive offerings, Intel's NUC is one of the most popular. These computers are small, attractive, powerful, and affordable. While they run Windows fine, they really shine on Linux, where all components work out of the box. 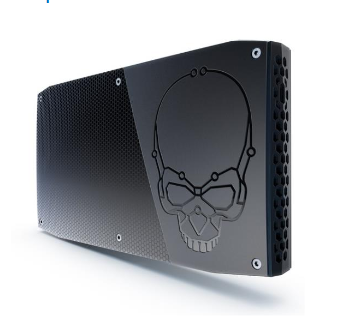 Today, Intel announces its most powerful NUC yet -- the seductively named Skull Canyon. Powered by a super-powerful Skylake processor, it also has tons of new tech crammed inside. You can even connect an external gaming GPU, like the new Razer Core, by way of Thunderbolt 3! "A mini PC with a 45-watt, quad-core 6th Generation Intel Core i7 processor and Intel Iris Pro graphics, the new Intel NUC (NUC6i7KYK) unleashes maximized performance for intense game play or intensive workloads. Intel Iris Pro graphics let people edit photos and videos like a professional or immerse oneself in vividly rendered, seamless 3-D gameplay, all in brilliant 4K resolution on three monitors at once. 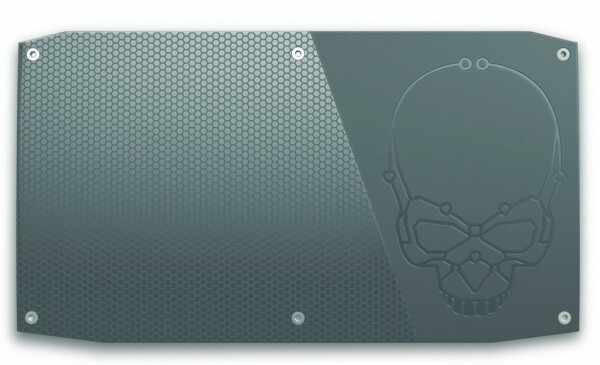 Skull Canyon also includes Thunderbolt 3, enabling a single compact port and single cable to easily connect to 4K displays, high-speed storage and other devices, in addition to great graphics performance by connecting to high-end, external graphics card(s) through a device such as the new Razer Core", says Intel. The processor-manufacturer further says, "All of this comes together to provide a great gaming experience in a system less than 0.7 litres in size! 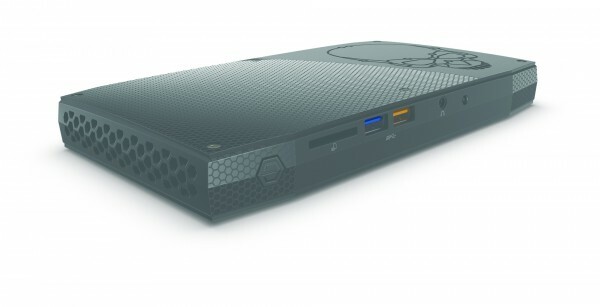 The 6th Generation Intel Core i7 processor-powered NUC has a completely redesigned chassis and stylish case, allowing enthusiasts to take full advantage of every GHz of the quad-core processor without overheating -- making this Intel NUC literally cool". Intel shares the following specs and features. If you want to buy this drool-worthy mini PC, you may be surprised to know that it is fairly affordable. The barebones machine is only $650. Keep in mind, you will need to add storage and memory, which will drive the overall cost up. With that said, DDR4 RAM and NVMe SSDs are dropping in price, so the wallet damage won't be too bad. You can buy this in May from various retailers, although Newegg will be an exclusive pre-order partner, allowing you to reserve one in April. I expect these to be wildly popular, so if you are interested, I suggest you keep checking Newegg.